I have had a very lovely week … with my bday this tuesday… Got an awesome number of birthday wishes from my blogger friends.. , friends & family.. Thank u…. I cherish every single wish and a message I receive…. NOw coming to this post.. my first entry to the Global Kadai : Flat Bread Event ! Pls rush your entries to this event… Another 6 days to go….Wake up … !! Send it right away :)My flatbread in the logo is indeed the Gobi paratha I will b sharing. Combine all the ingredients & knead them into a soft dough using water. Make balls out of it and keep it aside. Clean and wash the cauliflower . Pat dry with a towel. Grate it on the large size grater and make it cup full. Wash and peel the onions .Chop them finely. Chop the coriander leaves finely too. Combine all the ingredients together and stuffing is ready to be rolled. Roll out one portion of the dough into a small circle using the whole wheat flour for dusting. Using the back of a spoon , apply oil all around the spread dough. Place one ball of the gobi filling mixture in the centre of the circle. Seal tightly by bring sides together so that the mixture doesnt come out. Flatten these balls again with palm, dust with whole wheat flour and roll like any other paratha. Cook on a tava, using oil/ghee until both the sides are golden brown.Repeat the process with the rest of the dough portions. Serve hot with Yogurt or Mixed Pickle. belated Happy Birth day Sandhya. the Tiramisu looks fantastic and gobi parathas are my all time favourite. love it with boondi raita. yummy. 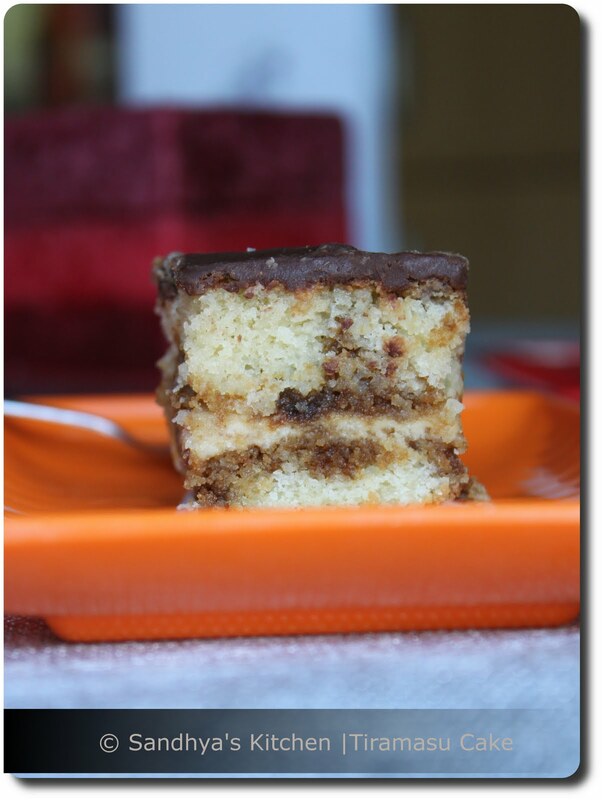 belated bday wishes sandhya…i recently made tiramisu cake..it was such a tedious job..phew! Gobi paratha looks good. Happy birthday to you.Enjoy the day and have fun. Belated Bday wishes Dear:-) Good to hear you had a great Bday. Btw, the gobi paratha looks yum..will send you my entry soon..
happy Birthday Sandhya, nice cake. Your flat bread also looks delicious. Belated Birthday wishes Sandhya ! A belated happy B'day to Sandhya.The paratha is very tempting and inviting and looks very delicious. Droolworthy paratha, makes me hungry, btw did u got my entries through mail?.. I love parathas and yours look superb. This paratha with gobi looks simply superb Sandhya…Perfect..
wow, those are such yummy looking parathas. gobi paatha looks delicious. adding ajwain seeds and katurimethi is so interesting . I love this version of parathas. They have come perfect and loved the clicks..
Belated wishes Sandya! Parathas have turned out perfect! Nice recipe! Belated b'day wishes Sandy:)i love anything with gobi.looks delicious! I just luv stuffed parathas…gobhi parathas luk inviting. Belated wishes sandy… gobi paratha looks so perfect and good..yum!! Happy birthday Sandhya.So u had a very surprise party sure u really enjoyed that with the wonderful home baked cake.. the gobi paratha looks simply superb..
Looks delicious and tempting! Superb click! Lovely parathas sandy.. The click is stunning as usual.. And Belated Happy birthday.. Glad you had a blast! Hey Sandy, hope your doinf fine..:)was away from active blogging for long time,I missed out many of your recipes..Trying to get hold of everything very soon.gobi paratha looks perfect and tempting.